We all know well enough that the formula for clear, beautiful skin starts with cleansing our skin thoroughly and properly. However, many of us forget the fact that in order to maintain our radiant skin, we must also exfoliate regularly! Because when we don’t, we lose out on getting that perfect smooth skin we want ever so badly! Here are 8 things that happen if you don’t exfoliate. If this doesn’t give you some scrub-spiration, we don’t know what will! As if whiteheads aren’t bad enough, imagine them turning into blackheads! Dreadful. Blackheads are not only are more visible (and look worse!) but they are also harder and more painful to get rid of! Scrub gently, but regularly, to keep these as far away from your skin as possible. Yes, undergrowth will be something you will have to get used to! So will even more painful waxing sessions! Undergrowth looks and feels terrible, and when you try and get rid of it, it often leave marks. Exfoliate diligently, and you’ll pretty much avoid encountering that nasty ingrown hair. Using a scrub not only helps in clearing away the topmost layers of dead skin, but also helps in getting rid of all the dirt, grease and germs that settle in our pores. If you don’t get rid of these unwanted elements from your skin, you risk letting your skin look very patchy and uneven. 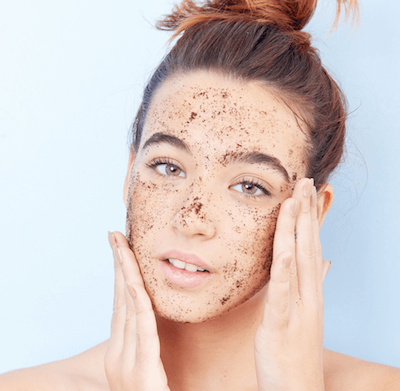 Believe us, ladies, not exfoliating regularly will make your skin appear dull. When you don’t scrub your skin, dead skin cells start to accumulate on the top layer of your skin, making your skin look sallow and lifeless. So scrub away to keep that dullness at bay! No matter how thorough you are with your regular cleansing routine, your soap/ wash can’t tackle all the germs - especially bacteria - that settle into your pores, especially when it’s hot and humid. Your exfoliating scrub is absolutely essential for you to unclog and clear up those pores, so that you not only get rid of germs on your skin but the ones that are more pernicious. Ignoring your exfoliation routine will only allow them to breed and grow, and increase the chances of unpleasant rashes and infections. Now, exfoliation isn’t all scrub-scrub-scrub! It serves the same purpose for your skin that a massage does for your muscles - the rubbing motion is something that boosts blood circulation to your skin and thus contributes towards better and healthier skin. Believe it or not, this is true! As we get older, the cell turnover of our skin slows down and the accumulation of dead skin cells robs you of your youthful glow. Exfoliating correctly helps remove this unwanted layer of skin and reveals younger, fresher looking skin. Now who doesn’t want that?! With all that dead skin and pollution that your skin is dealing with and not getting properly rid of (how can it, given the smoke and dust we have to deal with everyday?! 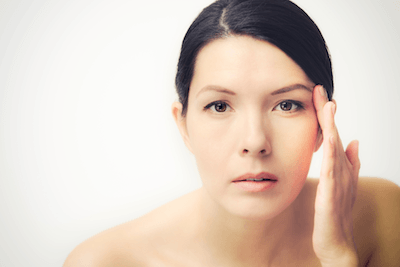 ), it should be no surprise that your skin will be far from glowing! Exfoliate regularly, and you will have healthier looking skin in no time. Come on, it isn’t rocket science! Do it right, and you will be a lot closer to having that gorgeous glowing skin you’ve always wanted. Images: shutterstock MUST-READ: 16 Simple Yet Life-Changing Tips To Glowing Skin MUST-READ: Polish & Pamper: Face Scrubs That Make Your Face Glow Like You’re in Love!